Howl is retiring in 2019. 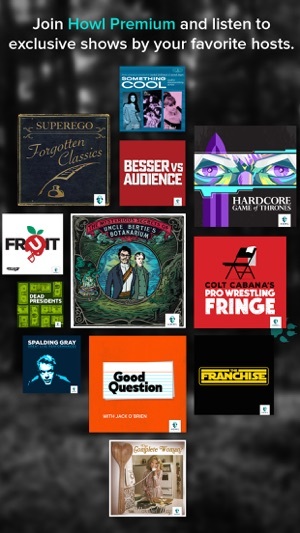 Don’t worry, all of Howl exclusive content is now available on Stitcher Premium along with over 120 comedy albums and much more original audio content. Check it out there! 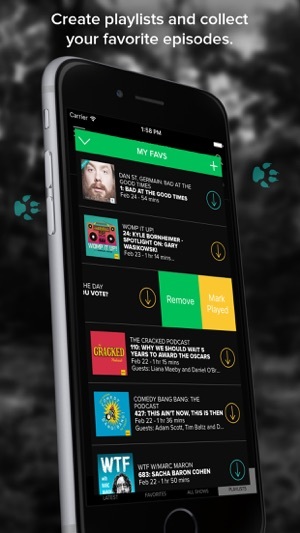 If you are new to Howl your base Howl subscription fee will be $4.99 USD/month (price may vary based on location and will be displayed in app before purchase - see below for a list of prices). Your subscription will be charged through your iTunes account as a recurring transaction, and will automatically renew unless you cancel at least 24 hours before the end of the current subscription month. You can manage your subscription, cancel anytime, or turn off auto-renewal by accessing your iTunes account. I’ve been listening to CBB and the talented people that frequent the show as guests. 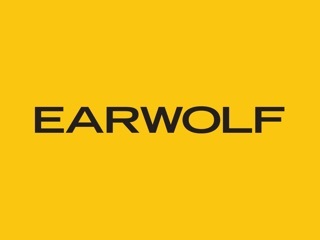 Many of the oddball’s that know how to make me laugh have started their own podcasts and are on “Earwolf/Howl”. I subscribed to listen to old favorites and new premium content. I join up to premium, over and over again a few months a year, bingeing new stuff and revisiting favorites that have been compiled as fan favorites of CBB. I’m always pleased with the “content”. For years I’ve utilized Howl, arguably the hottest application at the time. 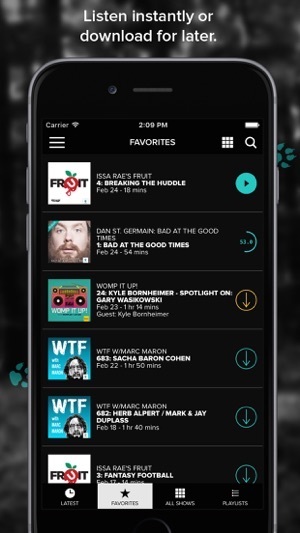 I gave you $5 a month which gave me the right to ignore the shameless plugging of something called stitcher. Well that’s sounded like a dang home economics application. I wanted commitment. I wanted my trusty Howl, one of the worlds finest technological achievements. I thought we would howl (italics) with laughter for years to come. Recent weeks episodes are blocked, distancing me from my friends on Howl. Due to recent events I checked to see if my check had bounced. But it had not and the divorce I went through pales in comparison to what I’m dealing with right now spiritually. I wish you were better, I wish I was better. But just know you’ll be with me always. Think before you lose me for and my $5 forever. 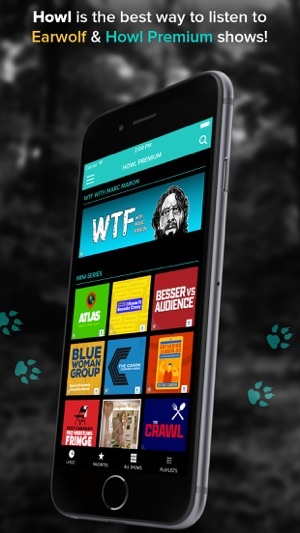 I've been listening to Howl for a while now and it's been my preferred podcast app, even over iTunes. When it was going full blast it was great to see pictures of the guests during the show. 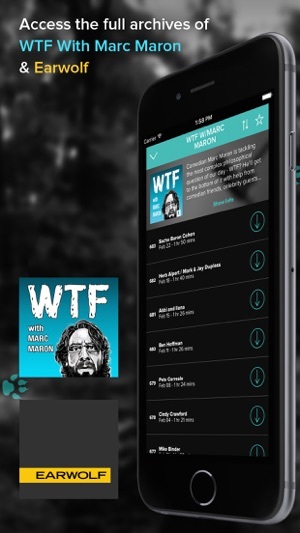 It has been buggy, but understandable becuase of the move over to Stitcher (which I am going to hat to get use to). I'll miss ya Widow Howlapp.